Mark Devereux Projects’ represented artist David Ogle is creating a brand-new work, Lumen for Illuminating York Festival (26-29 October 2016). At York St John University, David Ogle is creating Lumen – a forest of light which blankets the grassy Victorian quad, the most historic part of the University which is celebrating its 175th anniversary this year. Lumen is a forest of light occupying the grassy Victorian quad, the most historic part of the University which is celebrating its 175th anniversary this year. 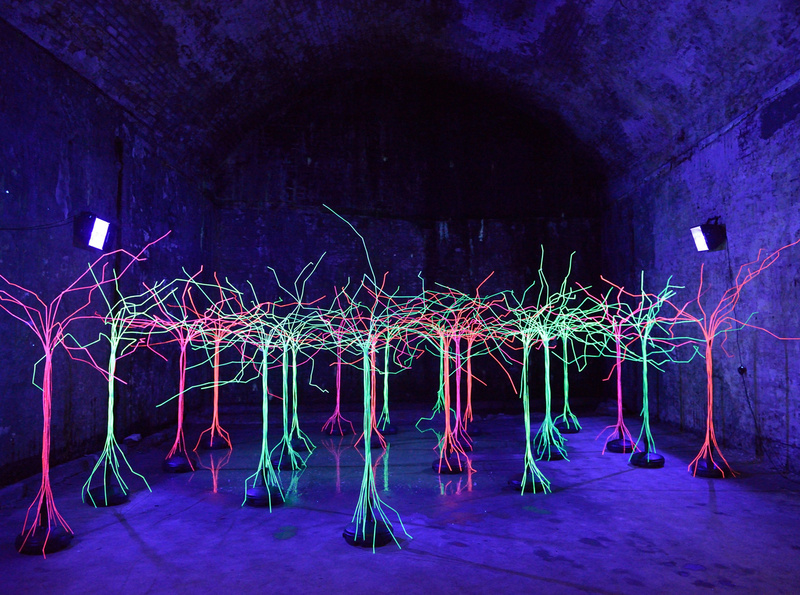 Wander through and under these skeletal, luminescent trees, and discover further artworks and performances by students throughout the University site. David Ogle’s previous work incorporates drawing, sculpture, installation and new media, and has taken place across UK and Europe. Around this transformed setting, York St John University students from across the arts are showcasing their creative talent. Through performances, pop-up exhibitions and a live drawing event, this is a rare opportunity to experience their vibrant and exciting work.